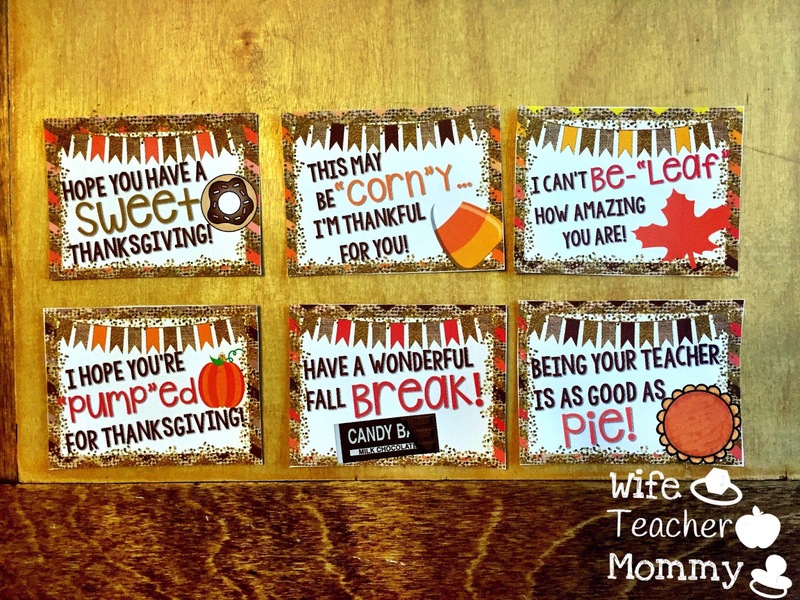 I have finished updating my Thanksgiving products from last year, and boy does it feel good! I’ve come a long way since I opened my Teachers pay Teachers store just over a year ago. These products now have improved graphics and fonts, and they feel just like brand new products for me! I also added a brand NEW Thanksgiving product. am so excited to share! (notice: affiliate links in this post). Hope you have a “SWEET” Thanksgiving- Include any sweet treat! I can’t be-“LEAF” how amazing you are!- This could be fun for students to give to their parents along with a craft using silk craft leaves so their creation will last! Have a wonderful fall “BREAK”– any candy bar! 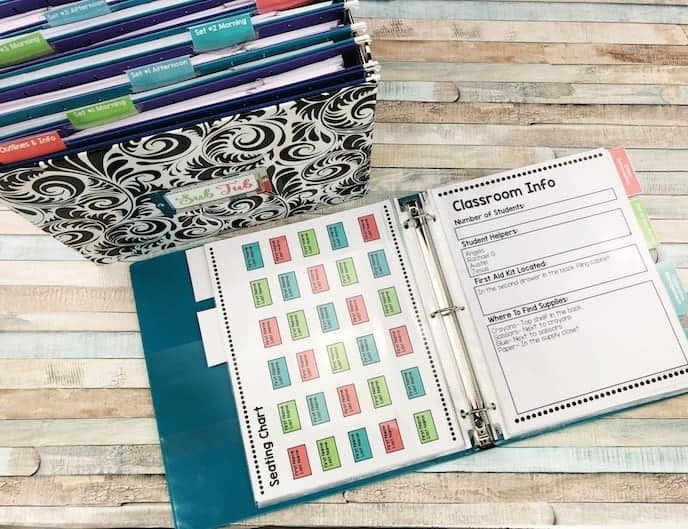 Get bulk deals for your class here. 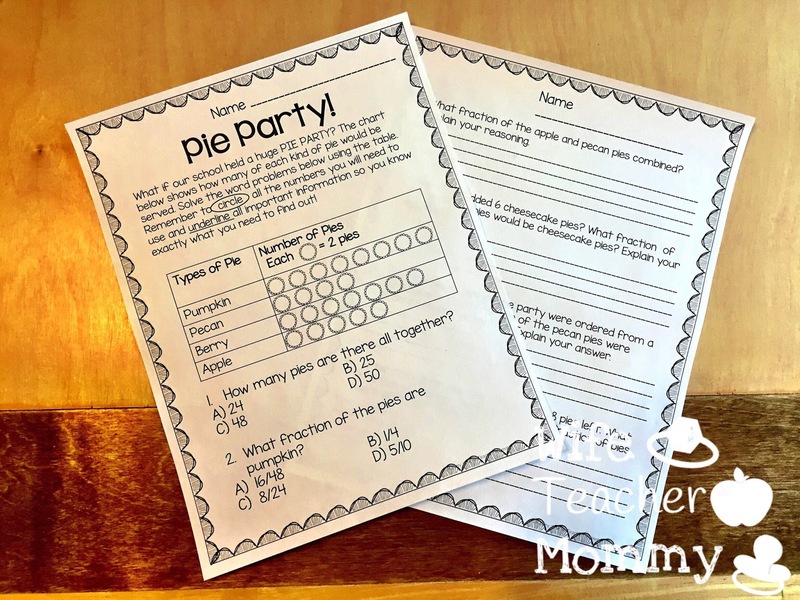 Being your teacher is as good as “PIE!”– Share some pie with your class, or give a coworker a full pie or gift card to Village Inn (or similar restaurant). You can get these punny cards in my store for only $1.75 here! Even better, you can grab the Punny Cards for the Entire Year Growing Bundle which includes all existing punny cards and all future punny cards. It currently includes 4 sets and will include 10 or more when it is finished. It is only $5.75- but grab it quick! The price goes up when each set is added, and I’ll be adding the Christmas set soon! If you buy now, you’ll get all the future sets and save big! 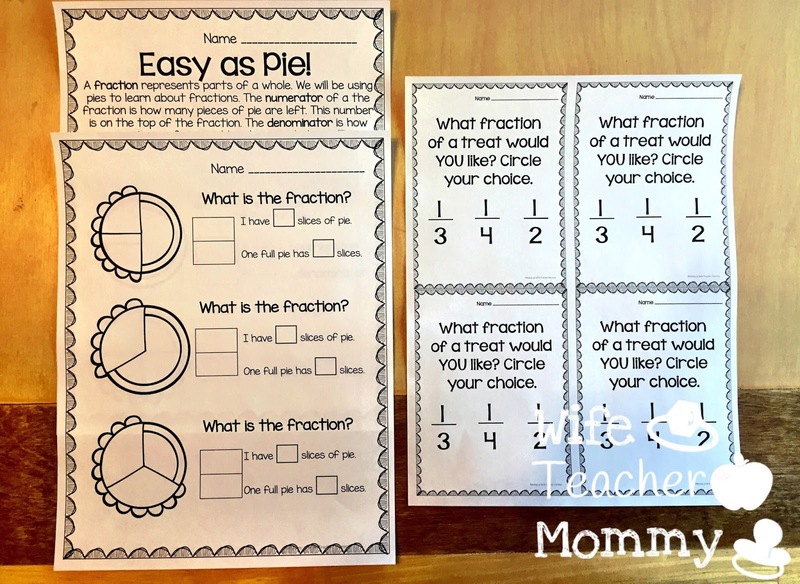 My first revised product from last year is Fractions are Easy as Pie! 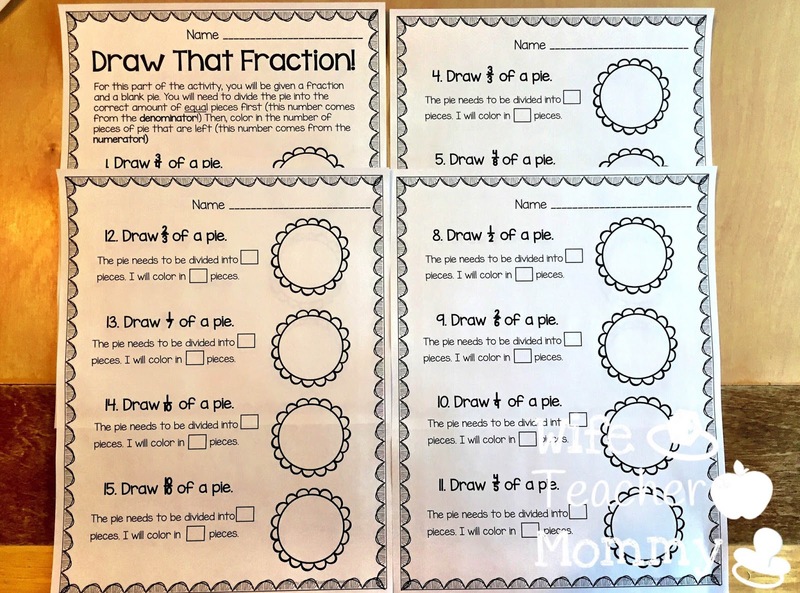 With these engaging Thanksgiving fraction worksheets, students will be able to identify fractions, draw fractions, and solve story problems using fractions and a picture graph. 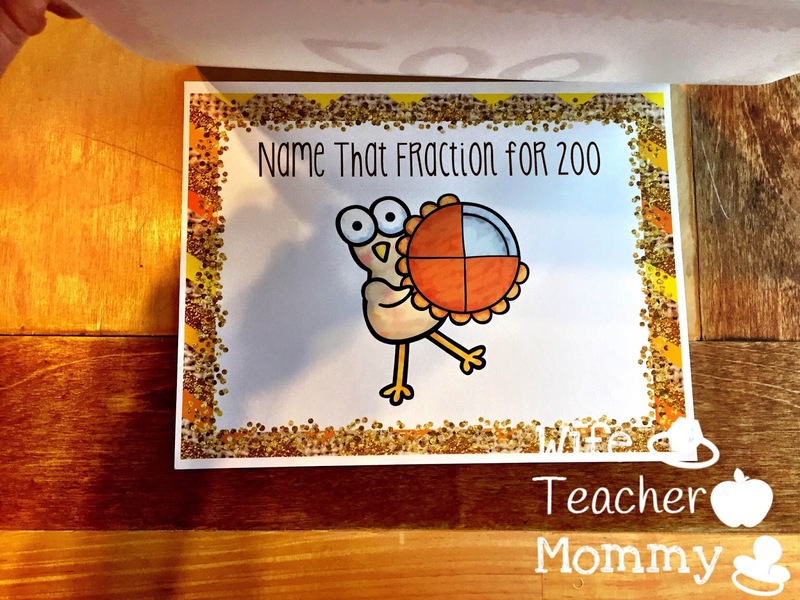 Fraction vocabulary cards are included for the words Fraction, Numerator and Denominator. This also includes an exciting opening activity using treats to get the students hooked. 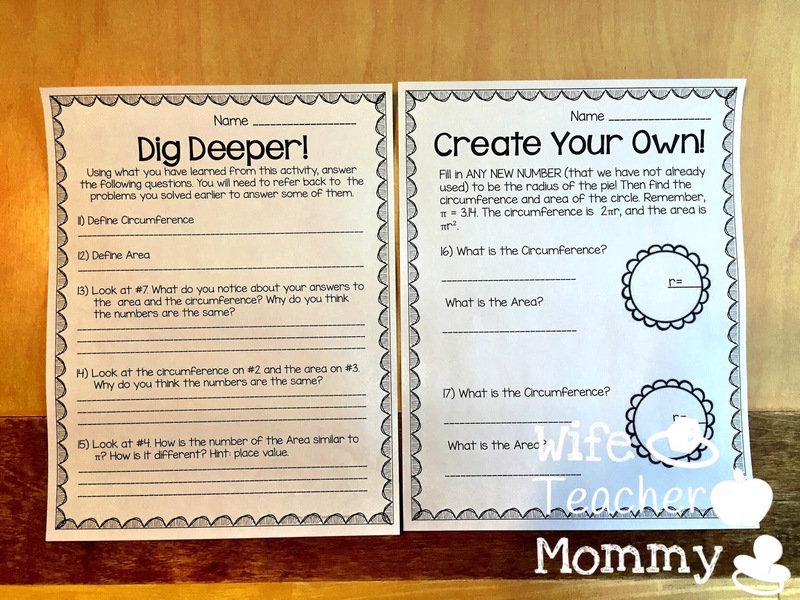 Students will circle whether they want 1/2, 1/3 or 1/4 of a treat. While they are doing the worksheets, you can prepare the treats and give each student the amount they requested. 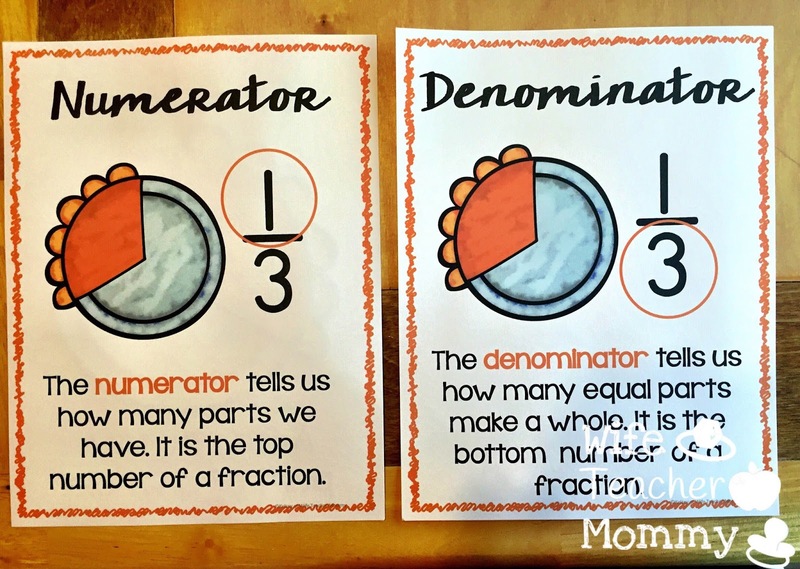 This memorable lesson will help students remember that the bigger the denominator is on the bottom, the smaller each piece of the whole is! 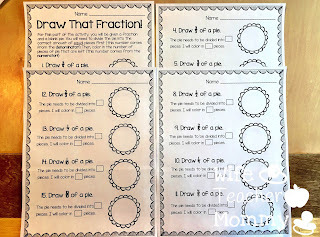 It also includes worksheets for students to identify fractions and draw fractions. Finally, it includes a section with critical thinking questions. 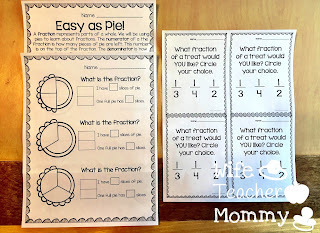 Students will use fractions AND a picture graph for these! 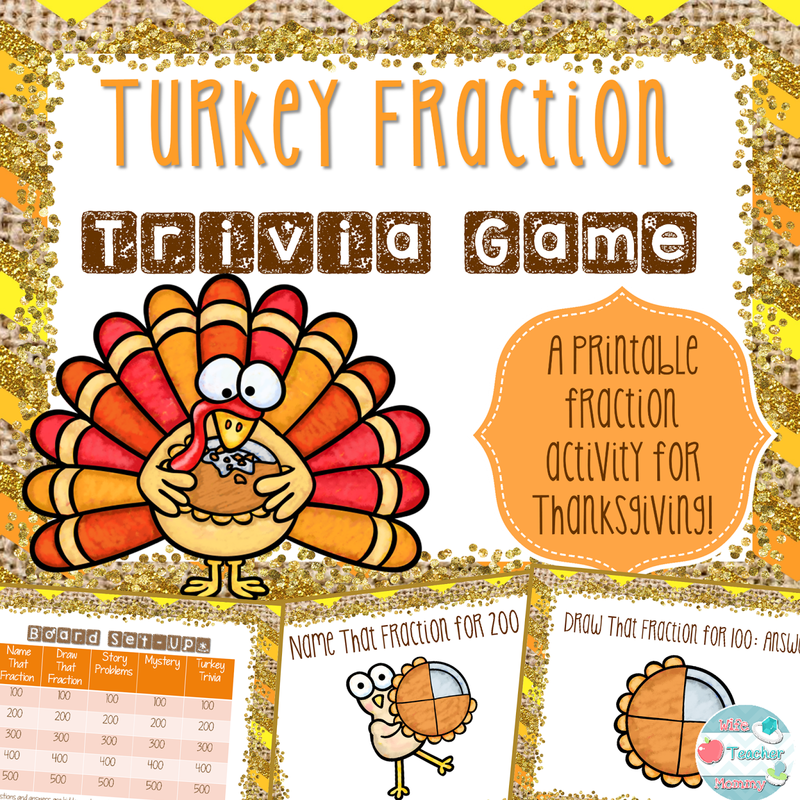 My next product revision for Thanksgiving is Turkey Fraction Trivia. 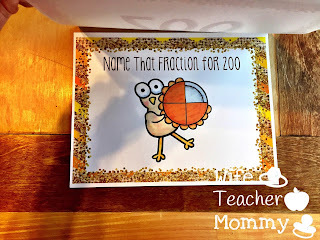 This is a really fun fraction game. It is similar to the style of Jeopardy- except the questions and answers are not backwards. 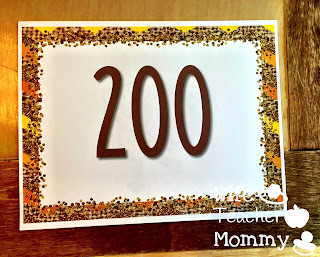 It is a printable game, so you can print out the pages on cardstock or laminate them so they will last. You will set up the board as seen above. You’ll put the number of points on top, and then the question page underneath it. I printed the question and answer back to back so I could just flip the page! 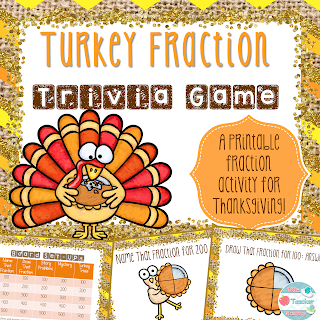 You can get Turkey Fraction Trivia in my TpT store here! 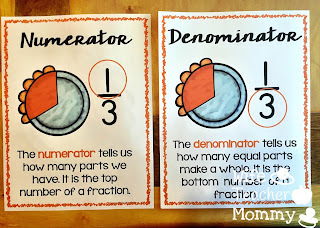 You can also get it in my Thanksgiving Fractions Bundle. 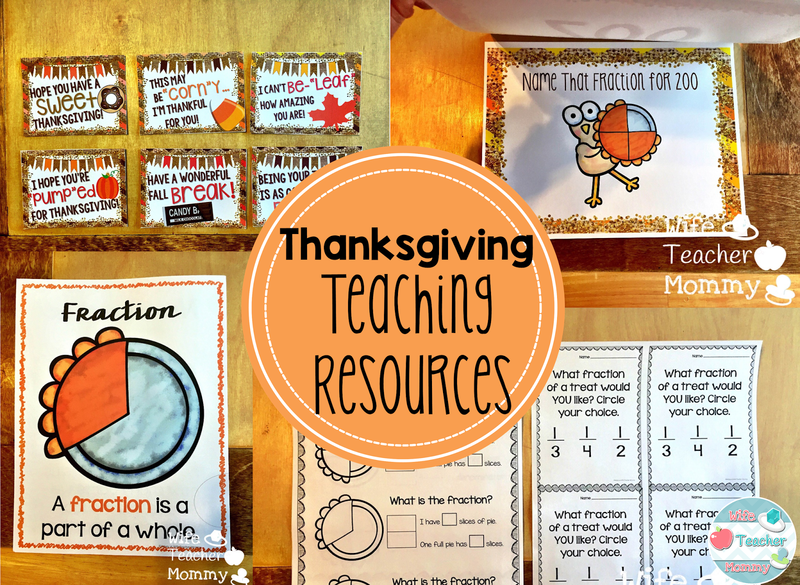 This bundle includes Fractions are Easy as Pie and Turkey Fraction Trivia. You’ll save 20% if you purchase both products in the bundle! 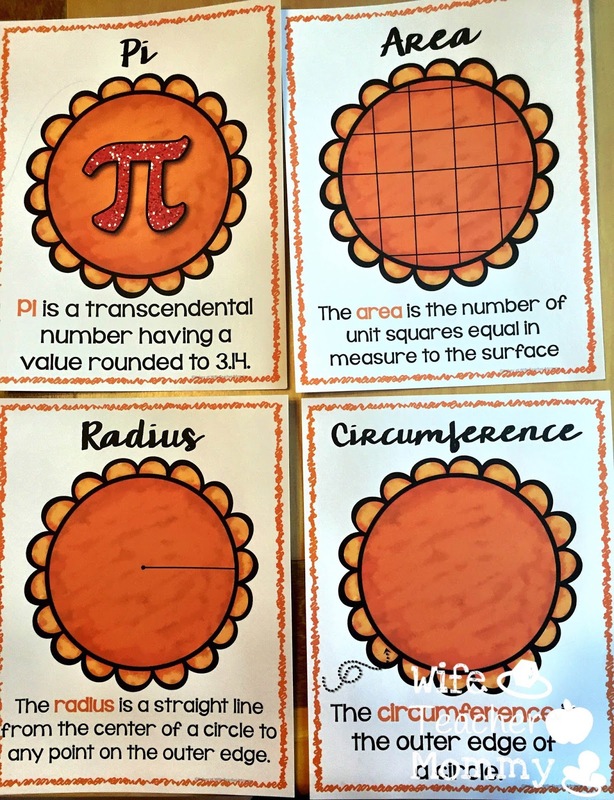 If you have older students, you may also enjoy my next Pie-themed math product! 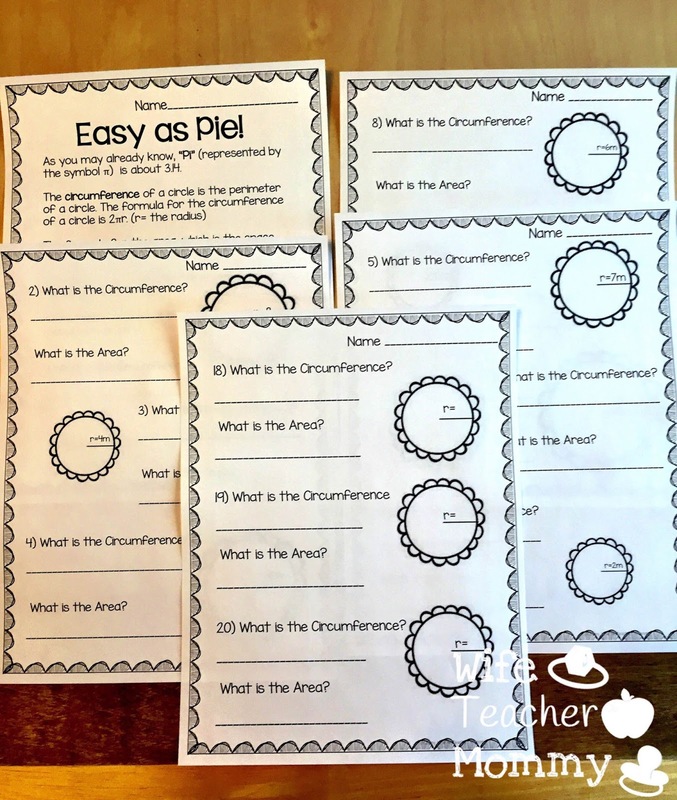 Area and Circumference are Easy as Pie is a great pie-themed geometry product about finding the area and circumference of circles. 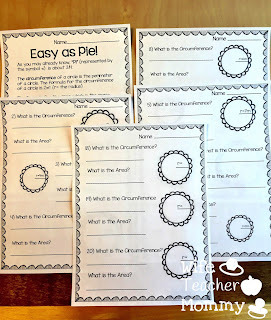 Students will find the area and circumference of “pies” and answer critical thinking questions. 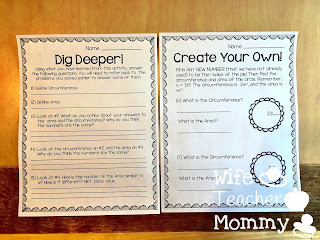 These are aligned to the standards so your students will use higher level thinking skills! 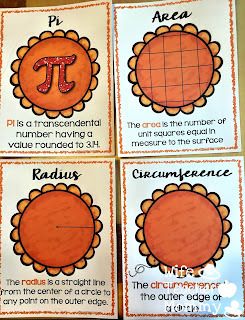 Vocabulary cards are also included for the words Area, Circumference, Radius and Pi. 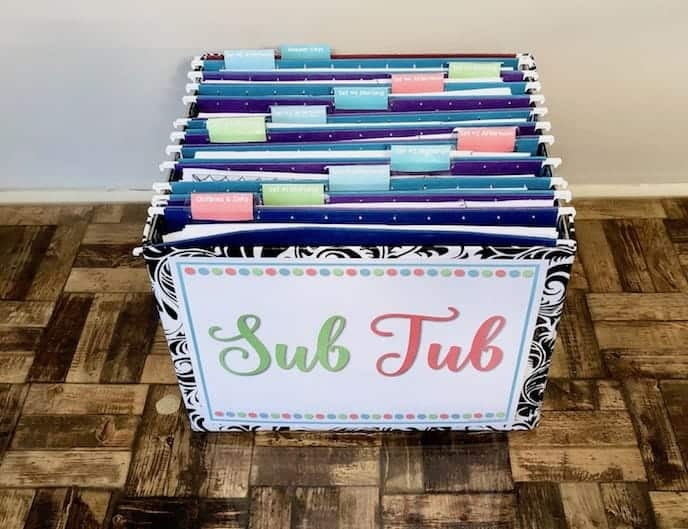 They are perfect for a word wall or even just a vocabulary lesson! I hope you have enjoyed reading about my products! Let me know if you use any of them in the comments below. I’d love to hear about them! Also, if you are not currently subscribed to my mailing list, I’d highly recommend it! I will be doing a blog hop later this month and offer a Christmas and Winter Themed freebie and giveaway, so you won’t want to miss it. I won’t say what the surprise freebie will be yet, but I’ll tell you that it will be applicable to ALL elementary grades and will include both a Christmas and Winter version. 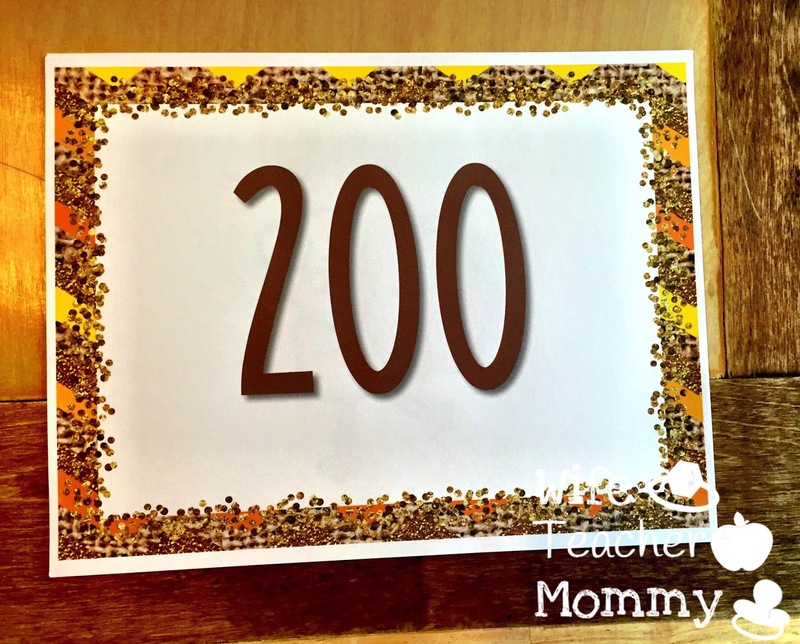 When you subscribe, you will be kept in the loop with all of my blog posts, so you will be notified when you can grab your freebie. Also, you get an editable sub forms freebie TODAY just for subscribing! 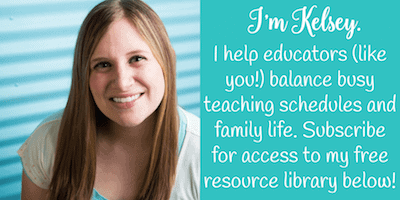 Fill out the info in the right sidebar or click here to read more and subscribe! Your blog is adorable, and I love all of the Thanksgiving resources. I love your blog! The Punny cards are so cute!